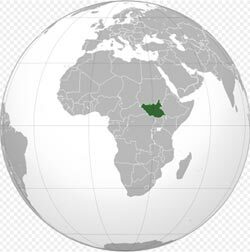 South Sudan became an independent state on 9 July 2011 at midnight local time following a referendum held in January 2011. If you still intend to travel to South Sudan, just to be a part of the celebrations of independence, make sure to check with your local authorities or government offices whether your country of citizenship is valid there or if you will need a visa to visit the country. It being the newest country comes with a lot of challenges and infrastructure development and most likely your country’s embassy or consulate may not exist there, yet. South Sudan has 248 km (154 mi) of single track, narrow gauge railway line from the Sudanese border to Wau terminus. There are proposed extensions from Wau to Juba, the capital of South Sudan. There are also plans to link Juba with the Kenyan and Ugandan railway networks. The busiest and most developed airport in South Sudan is Juba Airport (IATA: JUB), which has regular international connections to Entebbe, Nairobi, Cairo, Addis Ababa, and Khartoum. Juba Airport is also the home base of Feeder Airlines. Other international airports include Malakal, with international flights to Addis Ababa and Khartoum; Wau, with weekly service to Khartoum; and Rumbek, also with weekly flights to Khartoum. Southern Sudan Airlines also serves Nimule and Akobo, the airstrips of which are unpaved. There are several smaller airports throughout South Sudan, the majority of which consist of little more than dirt airstrips.